Clear all 71 jellies, bring dawn all ingredients and reach 300,000 points to complete the level. This level has hard difficulty. For this level try to play near to chocolates and other special candy. 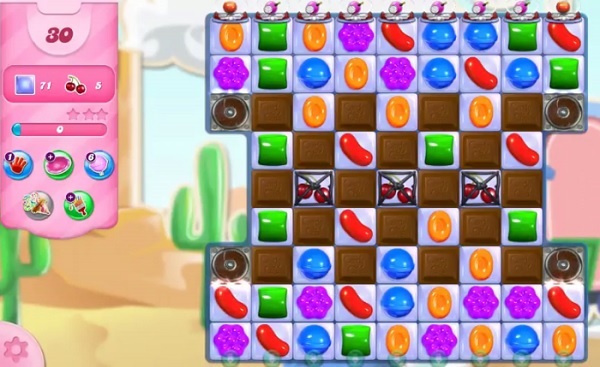 Use more special candy to move the ingredients and take them out from the board. i get 15 moves. As usual. What a joke this game is becomming. Only 23 moves. Thanks for looking into it. Your help is greatly appreciated. CC, U HAVE A WARPED SENSE OF HUMOR!!! U HAVE A SEVERE CASE OF INCOMPETENCE!!!! YOUR SENSE OF LOGIC IS MIND BOGGLING!!!! !